Cyberbullying has been making headway as a leading contributor to the demise of our youth’s mental health. Yet a recent survey conducted by Parent Tested Parent Approvedshowed that out of over 1200 respondents, 50 percent of parents had not broached the topic of cyberbullying with their children. This is a shockingly high statistic. According to a Statistics Canada Health Report, Canadians aged 15-24 years old had a higher rate of depression than any other group in the survey. “Negative social interactions” was a contributor to these statistics. So why then the low rate of conversations happening in Canadian homes? Of those surveyed by Parent Tested Parent Approved, 38 percent of respondents indicated they trusted their children to “act safely and appropriately when online” while 34 percent of respondents indicated they felt their children would tell them if they were being cyberbullied. One might wonder if parents are placing too much faith in their children to make the right choices innately. Parents find it necessary to teach children to look both ways before crossing a street, so shouldn’t the dangers of cyberbullying be of equal concern? 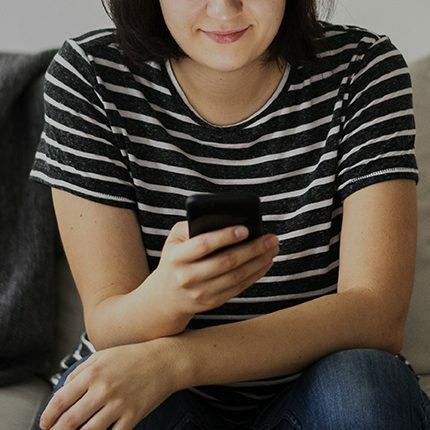 Teens, now more than ever, are developing relationships with their peers online and social media gives many a heightened sense of confidence to say things online that they wouldn’t say in person. This has proven to be extremely dangerous. As parents we need to do everything possible to equip our children with the tools they need to make good choices online. The survey also revealed that a contributing factor to parents avoiding the topic of cyberbullying related directly to their limited level of tech savviness. More than 20 percent of those surveyed indicated that they were unaware that tools existed in the marketplace to monitor their children’s online activity. The same parents were unaware that free solutions existed online to educate their children on the inherent dangers of the internet. Google Interland, which aims to “Help kids be safe, confident explorers of the online world” through a series of games and challenges. The games help teach children how online predators might disguise themselves through their social profiles and how it’s “cool to be kind” and treat others as you would like to be treated. I loved this particular tool so much I even put together a quick video outlining what it can teach your children. Another free solution which is targeted at the entire family is Telus Wise. The free initiative by Telus aims at keeping families safe from cyberbullying and financial fraud. They have a section to help parents navigate social media and common terminology. They also offer great resources for children and teachers. This is a great initiative by a telco to make a difference in its community. Tools exist to make parenting a bit easier when it comes to cyberbullying. As parents, we need to do everything possible to equip our children with the tools they need to make good choices online. So next time they are heading out the door and you remind them to take their jacket and look both ways before crossing the street, maybe throw in a “be safe online” as a reminder that you are holding them accountable for their digital footprint. Teenagers today are inundated with information. Gen Z reportedly spends six to nine hours per day consuming media across an average of five screens, so it’s no surprise that they’re also known as the “internet generation”. Unfortunately, the quality of online content to which they’re exposed remains questionable. 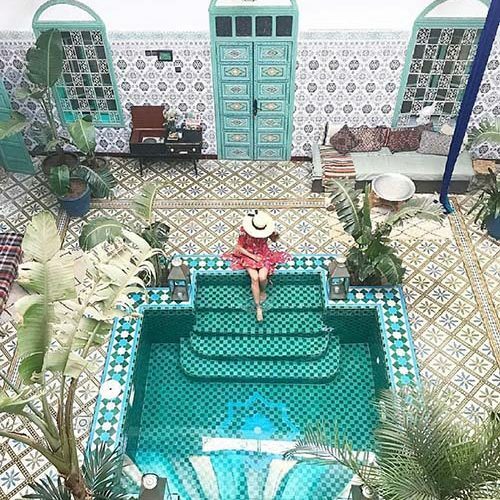 Celebrities and other prominent public figures often have the means to flaunt lavish homes, trips and clothes, and teens are trying to find ways to emulate the extravagance in their own lives. New trends in consumer purchasing habits are emerging as a result of social media. “Wardrobing”, the act of buying an outfit, wearing it once and returning it, is gaining popularity, and is a stark reminder that the next generation is being trained to live superficially. You need only click on Instagram’s popular outfit-of-the-day hashtag (#OOTD) to find over 200,000,000 posts from people keen to give their followers fresh fashion content, but it’s reinforcing an unhealthy message that’s influencing impressionable tweens and teens. One popular Instagrammer wrote very transparently about how she lives a lie online. In a post entitled, “Instagram Illusions: I Don’t Actually Have This Many Clothes”, she cites the pressure of keeping up a certain lifestyle as the reason for her sub-zero bank balance, and declares buying and returning outfits for Instagram a necessary trick of the fashion-blogger trade. Our children are being brought up to believe that it’s okay – normal, even – to fake it for fame, and some may have no concept of what it means to truly earn a living. For anyone who watched internet stars like Kim Kardashian and Justin Bieber skyrocket to fame, getting rich quickly has never looked easier. The rapid rise of social media has played a major role in this mindset, and teens are now very susceptible to thinking that being an Instagram, YouTube or Snapchat celebrity is a common and viable career choice. Often labelled “entrepreneurial”, Gen Z is growing up in a world that is intimately familiar with the notion and power of having a personal brand. They are also fed the fantasy that their brand can and should be monetized. “Traditional” careers – ones that offer the stability of a steady paycheque and health benefits – are becoming increasingly unappealing and working 9-5 might seem like an archaic way to earn a living. Further, having a regular job undoubtedly offers a seemingly minimal return on investment, but the investment in keeping up online appearances is greater than most teens realize. In addition to wayward spending, there are major emotional costs associated with internet fame. It has been documented heavily that the pressure of gaining clout through likes, comments and shares can wreak havoc on a teenager’s mental health, as it demands unhealthy levels of self-promotion and compulsive comparisons with others. Consequently, parents need to work that much harder to help their children balance the challenges of having an online presence with the expectations of the real world, while also accepting that social media is a normal part of growing up today. The spirit of the holiday season makes it an ideal time for parents to explore the true meaning of happiness with their kids. At a time of year when the gap between the haves and the have nots is underscored, parents can help their teenagers think more critically about what it means to live purposefully and should guide them towards redefining their own success. Parents can leverage the season’s message of giving to teach their kids about non-monetary wealth. When teens have a firm grasp of this concept, they’ll be better equipped to navigate the noise online, to become more conscientious adults, and to appreciate a modest and meaningful life. [dropcaps type=’normal’ font_size=’32’ color=’#303030′ background_color=” border_color=”]D[/dropcaps]espite being more internet savvy than its predecessors, generation Z is struggling with the enormous task of identifying and discrediting fake news. A recent report from researchers at Stanford Graduate School of Education showed “a dismaying inability by students to reason about information they see on the Internet”. This does not bode well for our leaders of tomorrow. There’s no doubt that young people face an uphill battle, though. News generators encourage visitors to invent stories that are then inserted into realistic templates and posted online with a single click. Unsurprisingly, people are doing it and others are falling for it, often sharing made-up articles and videos with their entire social networks. False headlines, like those listed above, are just part of today’s online experience; our children must also sift through social media posts, advertorials and clickbait that further blur the lines between what is and isn’t trustworthy. Unfortunately, getting sucked into a fake-news vortex is easy when you’re unaccustomed to seeing the truth. For example, legitimate news websites that post legitimate news stories often have a startling array of questionable promoted content at the bottoms of their articles. People often assume the information is true because of the credibility of the host site. (It’s also worth noting that young people are not the only ones who are susceptible; studies have shown that seniors are very vulnerable to believing fake news as well). Further, Facebook was criticized heavily for its algorithm that personalized users’ News Feeds by analyzing clicks, Likes and connections because it pushed one-sided information that reinforced people’s own beliefs. Of course, having your opinions validated feels good – especially when it’s from multiple resources – but this incredibly skewed perspective only makes it harder for young people to exercise good critical thinking. People have a hard time rejecting misinformation, but believing everything you read and see online has real, long-term consequences. This is especially true for youth that rely heavily on the internet to stay informed. The constant consumption of polished, curated experiences on social media leads to a distorted perception of “real life”, as well as a false sense of connection to entire communities. The rise of influencers has contributed to this epidemic as well: typically paid, they recite refined messaging provided by skilled brand teams, appear to do little to rise to fame and often promote seductive lifestyles that are deceptively glamourous. Why get a “real job” when you can be the next Kim Kardashian? Logan Paul, the controversial internet sensation, rose to stardom from humble beginnings by posting vulgar and dangerous videos on the now defunct Vine platform. What our kids are not seeing, though, is that most people have to work hard to get ahead. Very hard. But that’s challenging to piece together when the lie – often slick – reads much better than the truth. The solution to this problem is not a simple one, but we’re heading in the right direction if we continue to raise flags and expose truths. Ultimately, the work starts at home. Parents should be transparent with their children at a young age about how to examine and evaluate content, and educators will have to adapt their curriculums to teach this new vital life skill (thankfully, some are already doing this). The ability to fact check effectively becomes more important with each passing day, but it’s also getting harder. What was once a reliable safety net is now a risk itself: the need to detect fake fact-checking websites is yet another hurdle gen Z will have to learn how surmount. Fortunately, many classic expert tips remain tried and true. We must all double check resources to determine who is behind what we’re reading, seek out multiple sources to validate (or invalidate) information, research multiple perspectives, and always, always, always ask the question, “Why?”. Helping to retrain our children’s brains should be a major priority if we hope to stay ahead of the fake-news cycle. The more aware they are, the less fluff they consume and the more committed they become to creating their own genuine experiences, the better off we will all be. That’s what this blog is. Kind of like my life. One day I might be blogging about being an entrepreneur, one day it might be about an awesome new product, and sometimes it will be a rant; most likely about the pitfalls of social media. Most importantly, it will be authentic, honest and relatable. It will be what we would talk about if we got together over coffee at Starbucks. So feel free to comment, disagree, applaud, whatever, just engage, that’s the only way to have your voice heard.